Remember these? 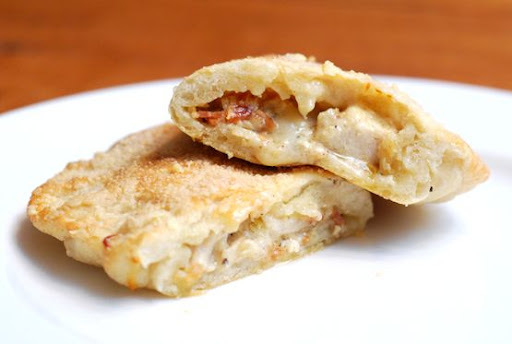 Chicken Bacon Caesar Calzones? I know that many of you tried them and loved them. 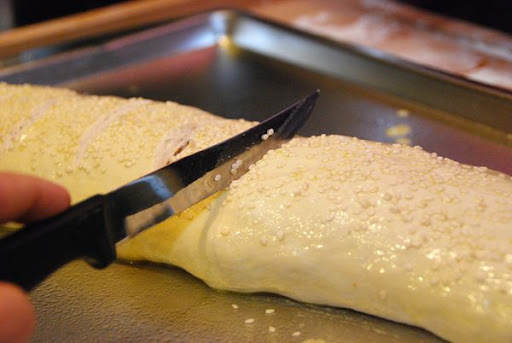 SO, when I altered the recipe slightly last week to make a more party-friendly version, I brought my camera along so I could show you how to do it. 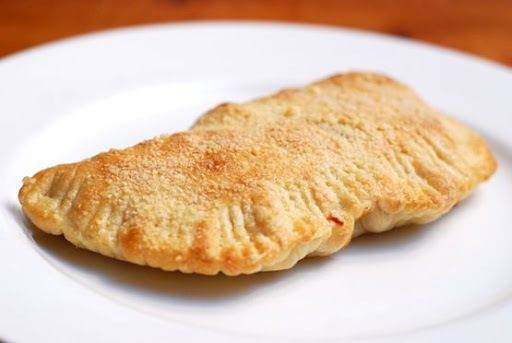 The calzone version is wonderful - especially for family dinners. BUT, if you need to make a whole bunch of it for a crowd, it would be quite laborious. 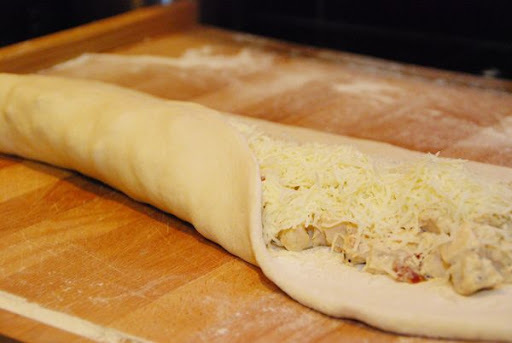 SO, I created a stromboli version - using frozen bread dough - that can be doubled, tripled, quadrupled to serve anywhere from 4 to 40 people. I love cheese. Forever and ever. We love it this way - soft, chewy bread with a bit of crunch thanks to toasted sesame seeds - but, still the flavor combinations we love inside. Allow bread to rise according to package directions. 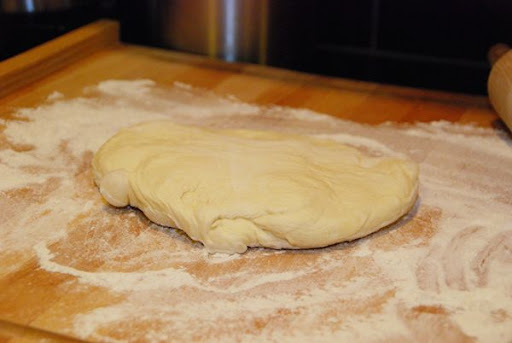 Punch risen dough down and place on a floured surface. 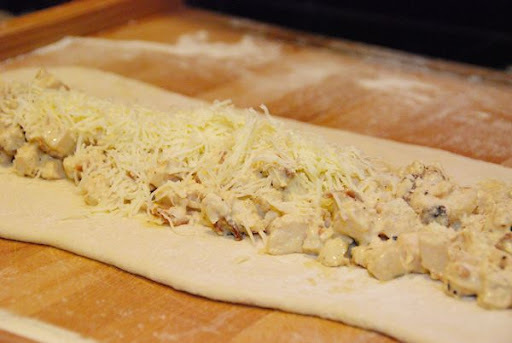 Place the filling down the center of the dough. 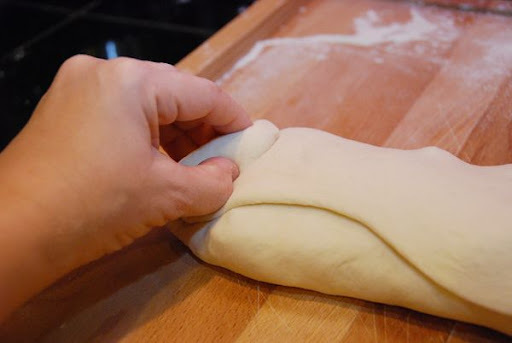 Pull the other side up and over to seal the filling in. 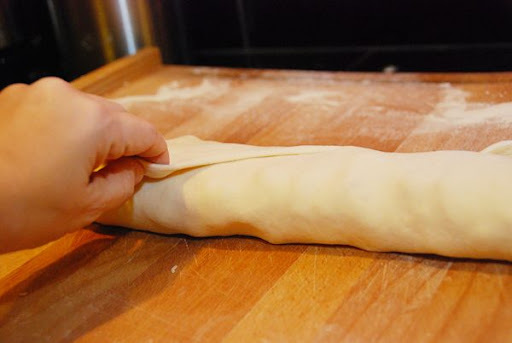 Then, tuck the ends under, pressing to seal with your fingers. 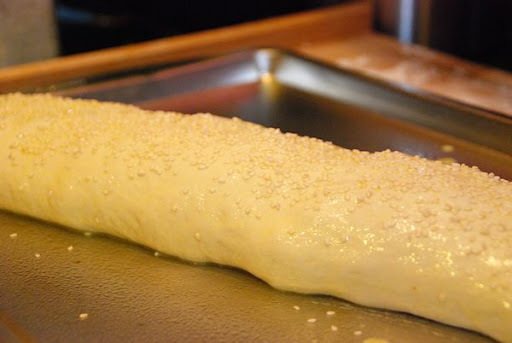 Using a pastry brush, brush on an egg wash.
And, sprinkle the top with sesame seeds. Yeah, man. This is some good eats. With the Super Bowl right around the corner, this would be a GREAT dish to serve or take with you to a party. You could make one loaf, or ten! It's so easy to put together, and it'll be the hit of the party. 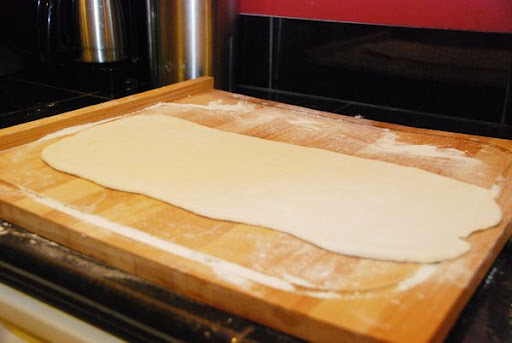 Punch down bread dough and roll out into rounds on a floured surface into an 15" x 8" rectangle. 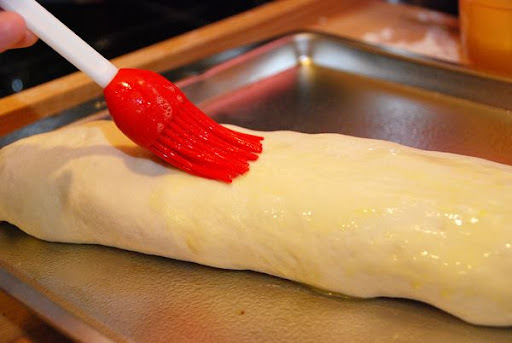 Thanks for the tutorial on rolling stromboli. 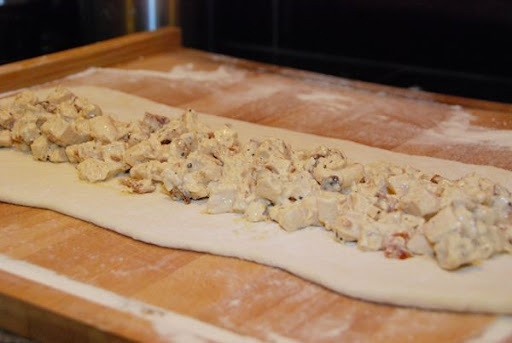 I never seem to roll my dough thin enough and somehow mine bursts during baking and I end up with filling bursting from the seams and raw dough in the middle. I'm going to try your technique. It looks yummy! So many mistakes I might make are eliminated when you post your step by step pictures. Example: When I tried a pumpkin-roll before I found you, I wrapped it in a bath towell!!! It was sad. When I saw your pics, I sighed....and had an aha moment. Yum! We love strombolis! 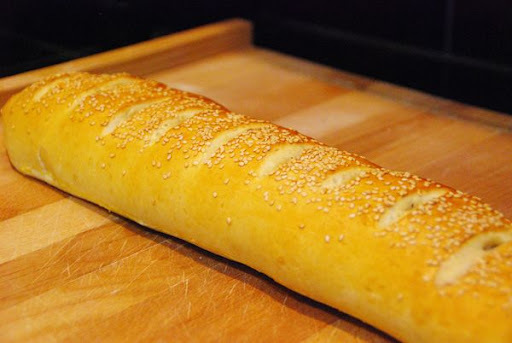 I love the way these look, with the slices and sesame seeds! 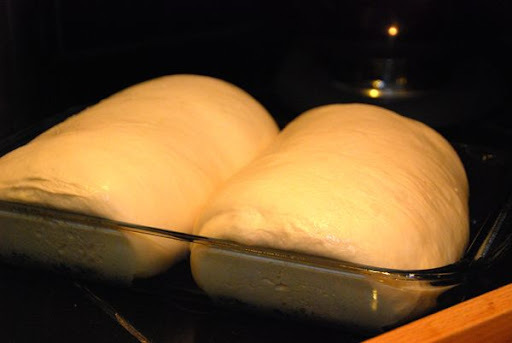 I always have a hard time stretching the store bought bread dough. I finally found a recipe that works, from scratch and it is my go to, all. the. time. This looks marvelous! I love the pictures too. Oh this so good! I'm trying it the next time we have guests for dinner. 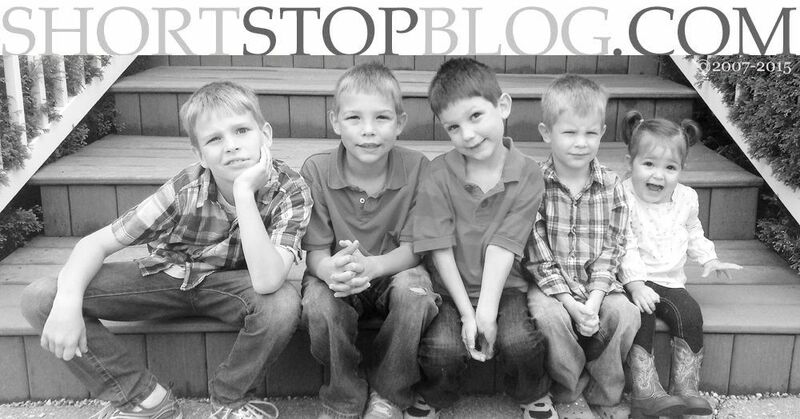 What a great blog you have here :) I'm from the East Coast now living in the Midwest also! 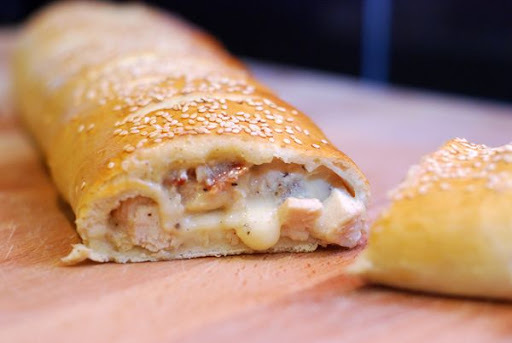 I've always wanted to try stromboli & with this great post to follow now think I'm ready! Beautiful pictures! i made this last night and it was DELICIOUS! Thanks for the awesome recipe and step-by-step instructions. Mine still looked ridiculously horrible, but tasted delish! These great photos would make following the steps a lot easier. I'll be adding this to the menu for my best friend's wedding. Our other friends are looking for venues in Denver for the receptions, and I'm one of those in charge of searching for good recipes to prepare. I hope it'll be a success!